My apologies as last week I didn’t manage to get as much information out to you as I was snowed under running the Senior’s Open (Report on that later) and hence lots to report this week so best make yourself a cuppa and get comfortable. I’d like to kick off with some great news and a freebie to all the members of the club. Yesterday we had a very productive meeting with the Epsom Race Course with the objective of building a strong relationship going forwards. Many ideas were discussed, but the first benefit to the club is FREE entry to all members to ‘The Season Finale’ meeting on Sunday, 1 October. Click here for more information. The racing kicks off at 2:00pm, so ideal for all those chaps playing in the Monthly Medal on that Sunday. We’ll get the presentation done nice and quickly and then head up for a bit of racing. I know I’ll be heading up there with my family as it should be a cracking afternoon. I’ll give you more information on entry, but simply showing your Epsom members' card will gain you FREE entry. I’d like to take this opportunity to thank Sid French and all the other Past Captain’s for inviting me on the Red Jackets Golf Day last week. We all headed off to North Downs Golf Club for a very nice round of golf, bit hilly but buggies were aplenty, and as is the tradition, we all headed back to the club for dinner and it was lovely to sit around the table with so many Past Captains. So not surprisingly, the man of form coming off the back of his Club Championship win, was men’s Captain David Barnett who managed to pick up the much coveted crystal spittoon with 35 points. I do have to mention one other prize collected on the night and that was the longest drive which went to Big Roy ‘The Epic’ Chegwin, who pulled out his brand new custom fitted Callaway EPIC driver and launched it miles up the 18th (Demo and fittings available in the pro shop). A shameless plug I know, but hey! Roy even managed to shove the winning bottle up Sid's nose in the picture! It was a lovely day and thank you gents again for the invite and I look forward to next year’s day out. Last week we held our annual two open events with the Senior’s Open on Thursday and the Mixed Open on Saturday. We had 24 seniors heading out with a couple of our own members amongst them, but most from far afield. It was quite challenging conditions with the wind blowing, but some good scores were returned, they also needed a bit of working out as I had the top three all on 36 points and hence a countback was required. Back nine, then back six was needed to sort out the winner but edging his nose out in front was Chris Rodgers from Hoebridge Golf Club who had some very kind word to say about the course and our wonderful club. Saturday was the turn of the mixed couples again coming from far and wide with a few Epsom members choosing to get involved. The format was betterball which certainly threw up some very impressive scores. In runners-up spot was the the Mitchells all the way from Hever Castle Golf Club with a superb 45 points, but just pipping them were our very own Past Captain, Declan O’Brien who played with his mum, Kitty from Cuddington. They managed an fantastic 46 points to take the win. Well played the O’Briens! This week’s men’s competition was played for the beautiful PING Salver, a popular stableford event. Coming out on top and just beating Bill Allison and Mike Lower by a point was none other than Ray Williams with a cracking 40 points. Ray manged to win, but just narrowly avoided a handicap cut the week before the big Spain trip… all sounds a bit fishy to me? Great round Ray and good luck in Spain. Everyone gets there moment in the spot light so the week I missed saw our Club Chairman Brian Dodson destroy the rest of the field and win the Monte Carlo Trophy by four points with a very impressive 42 stableford points. Of course never leaving the ladies out, this week we had the Final of the Ladies Whitbread Knockout with Helen Davies and Denah Shah battling it out for the title. I believe it was a very close fought competition, but it was Denah this time who won over the experience of Helen. Well played Denah, the first of many! We have had plenty of autumn/winter gear in to keep you warm as the temperatures start to drop. 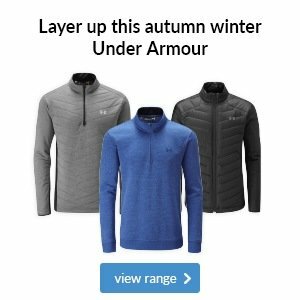 Under Armour have got some great 1/4 zips, mid-layers and gillet’s on offer this season. I have just also taken delivery of a great collection of men's and ladies merino lined sweaters from Glenmuir, the ladies have flown out and so I am now re-oredering to replenish. Pop in and get yourself covered for the winter. Grab a re-stub and put 10 yards on to your drive…. 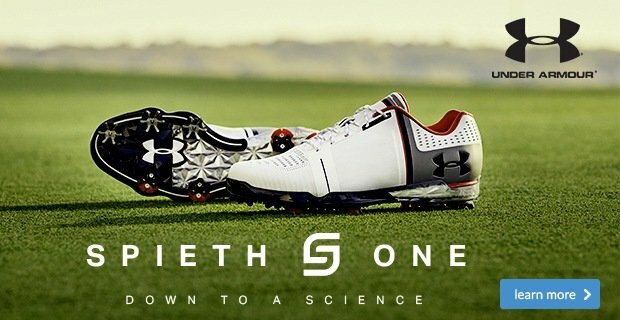 With the wetter mornings and softer conditions under foot, now is the time to re-stud your golf shoes going into the winter. 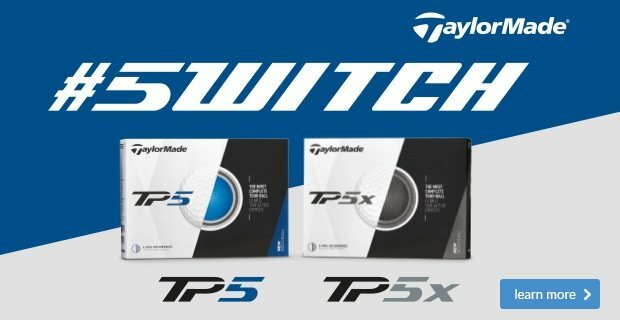 I doubt you realise the forces you load down through your legs and feet when hitting a golf ball, especially looking for that few extra yards off the tee and a set new studs will give you that grip you need. So drop your shoes into the pro shop and when we can we’ll do them while you head in for a drink or if not they’ll be done and cleaned ready for your next game. Motocaddy's new S5 CONNECT electric trolley is the most technologically advanced trolley on the market, packed full of handy features which will make your time on the golf course even more enjoyable. For us it's a no-brainer, but for those of you who want to know a little bit more, click on the link below to read our eight simple reasons as to why the S5 CONNECT is the best GPS trolley on the market. How often do you use yours? Take a moment to think about this question: what is the most underused club in your bag? 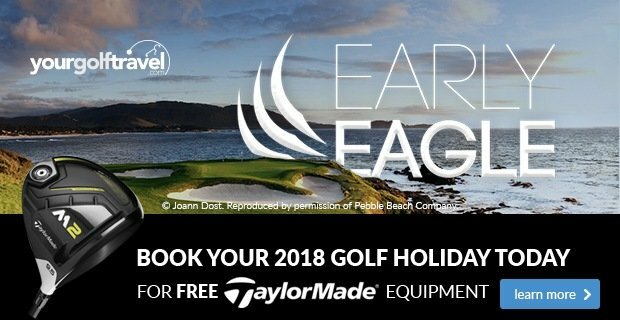 If you’re answering truthfully, our money is on your fairway wood, which could easily become one of your go-to clubs if you carefully consider the different test each hole provides. Are you guilty of always pulling driver with barely a thought to the hole you’re on, the day’s wind or ground conditions? If some of you considered the challenge more carefully, we’re sure a fairway wood would be a wiser play more often. 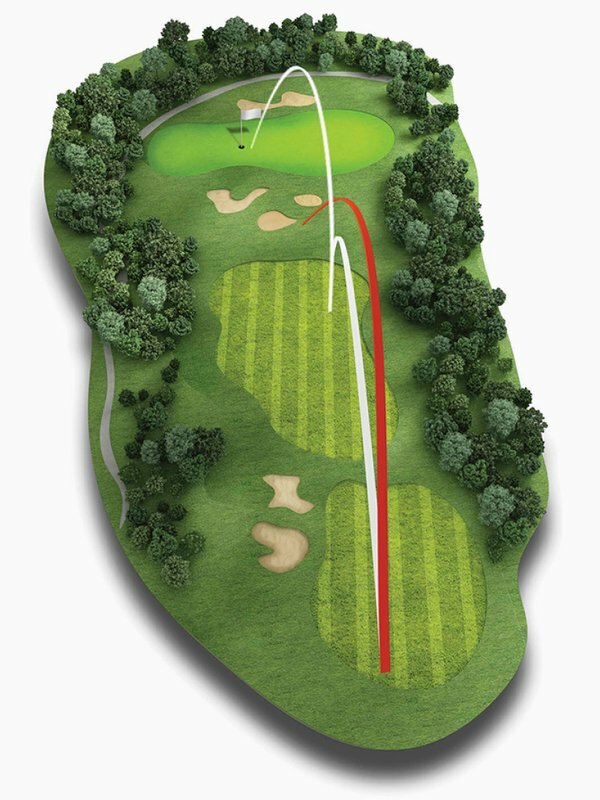 For example, you can take a hazard completely out of play or leave a full shot to the green instead of an awkward pitch - as illustrated by the graphic here. Do you trust your fairway wood? shot if you trust your fairway wood to be a consistent option. 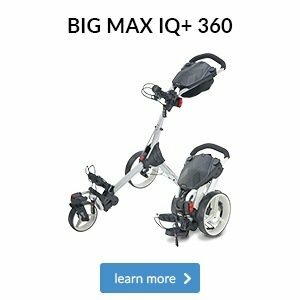 If yours often leaves you in trouble, perhaps you should consider a fitting to find a model more suited to your swing? 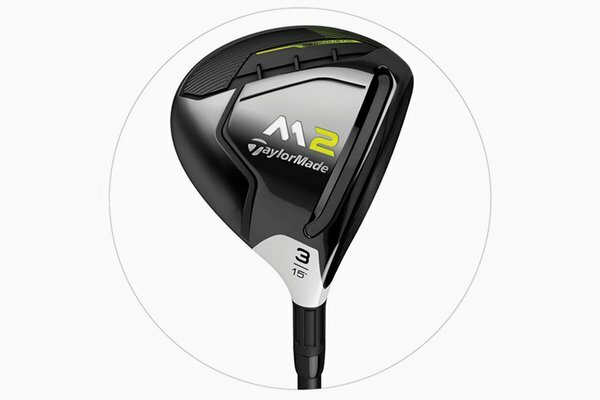 One we’ve had a lot of success with is this TaylorMade M2 fairway which has five loft options and a lower flighted tour version to suit different individual needs. 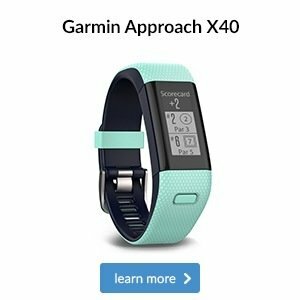 Click on the image above to learn more about this product. The start of autumn signals the time of year when many golfers begin to hibernate for the coming colder months. However, 2017 is going to be different because we’ve just received a brilliant selection of mid-layers that will keep you warm and swinging freely as the temperature drops, meaning there’ll be no excuses for you not to play. 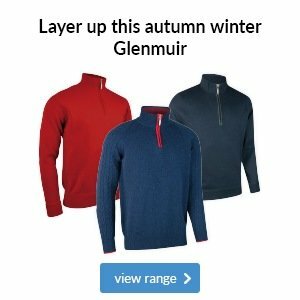 If you're after a luxurious, long-lasting mid-layer then you need to come and try on Glenmuir's unrivalled collecton of merino wool sweaters. 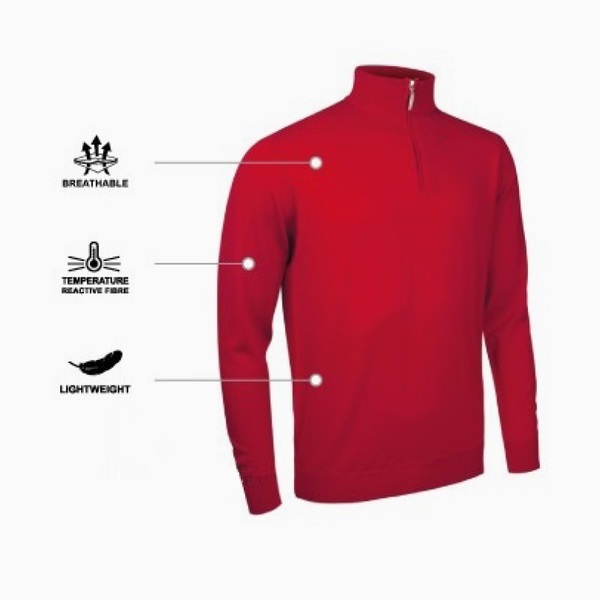 Using the strongest fibres of the merino fleece ensures this lightweight zip-neck option has outstanding durability and resilience. Something that really makes this sweater stand is out is that the material's fibre reacts to your body's temperature, meaning you'll get breathability in the warmth whilst insulation in cooler temperatures. Click on the button below to look through the various options in Glenmuir's range. 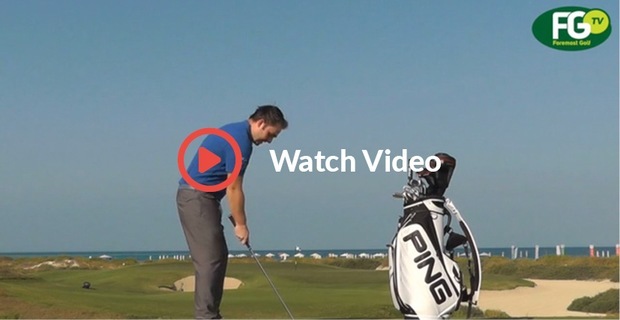 Watch as European Tour player Andy Sullivan offers some expert guidance when it comes to hitting the 70-yard pitch shot.